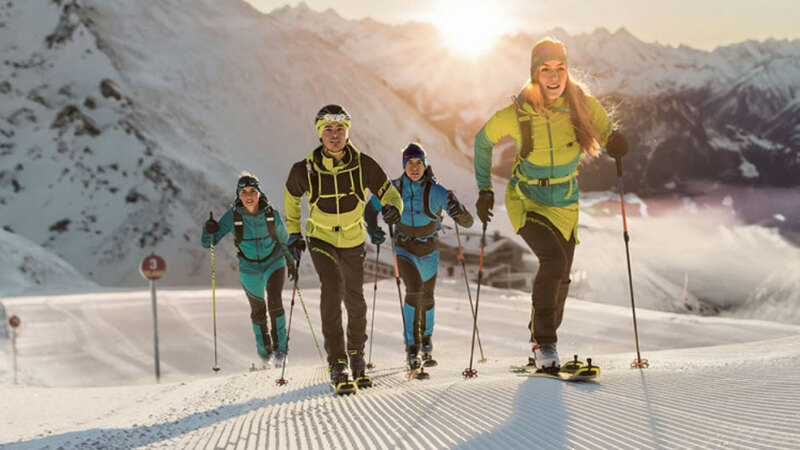 The other day we popped into Decathlon to buy some Ice grippers and in store, we noticed that there was a definite focus on ski randonnée / ski touring equipment, not just clothing but skis as well! There was also some good quality clothing with the brand name, Simond, which on further research is based in the Chamonix Valley, and has been developing mountaineering equipment for over 150 years and Simond is now part of the Decathlon group. I just hope that Decathlon is not going down the same route as that of Mike Ashley and Sports Direct, in taking over quality established brands such as Karrimor and destroying all that they once stood for by cheapening the quality of the product. 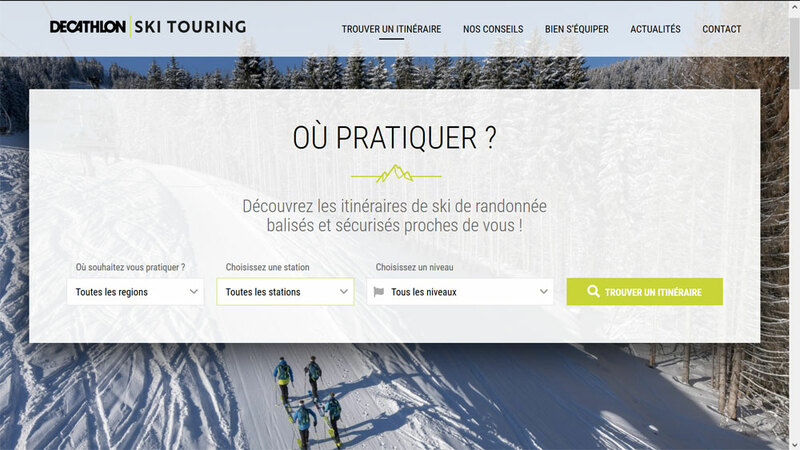 Then as a coincidence via Social Media, or maybe because I had visited Decathlon.fr I saw that Decathlon was, in fact, promoting in resort off piste ski touring! The skis I had looked at were, in fact, designed for ski touring and skiing back down the piste. 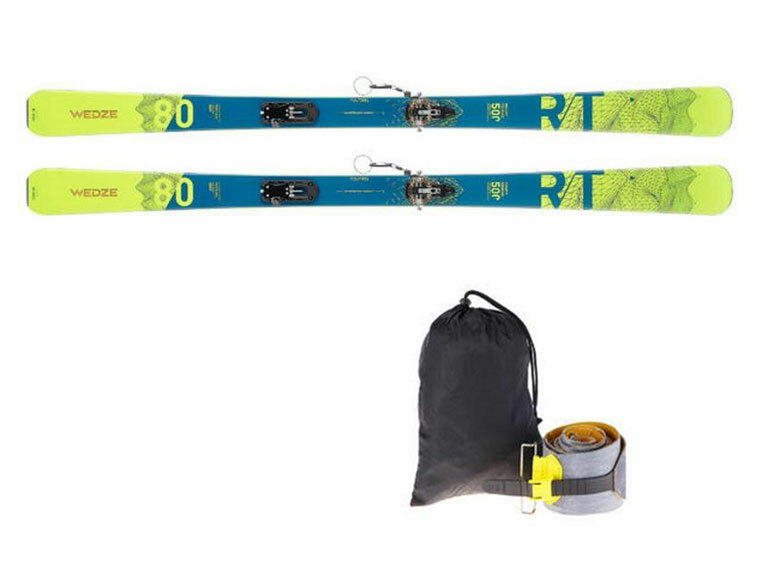 As per the blurb from Decathlon 'We have designed this pack that is perfect for skiers who want to utilise the marked trails in ski resorts and then ski back down on the piste, discovering ski touring in the ski resort on marked trails and routes. The RT 500 offers an ideal ride downhill'. Dynafit is also promoting their Speedfit 84 touring ski as a ski 'with the highest performance/weight ratio with our best on-piste characteristics'. And they then go on to differentiate between the equipment needed for backcountry ski touring vs an on piste ski tour. "At this point you may wonder why you need special gear for on-piste ski touring. The answer is that the demands on clothing and equipment are different than gear used in the backcountry. 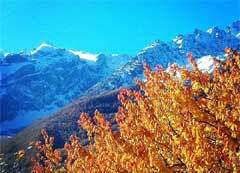 On-piste ski tourers often ski early in the morning or late in the evening. For their safety in low light or dark conditions, SPEEDFIT clothing has reflectivity. Skis, boots and bindings are subject to different stresses than would be the case in the backcountry. For this reason, SPEEDFIT products have been developed to be lightweight and comfortable for ascents yet torsionally rigid to provide perfect control on hardpack or icy runs." The cynic in me doesn't quite buy into any of the above, especially about the clothing side of things, and when ski touring away from the piste, especially at the moment, here in the Southern Alps all the off-piste is hardpack and icy! Here in Serre Chevalier we evidently have a trail rather than a piste that people can skin up as touring up on the piste is 'interdit' and dangerous. 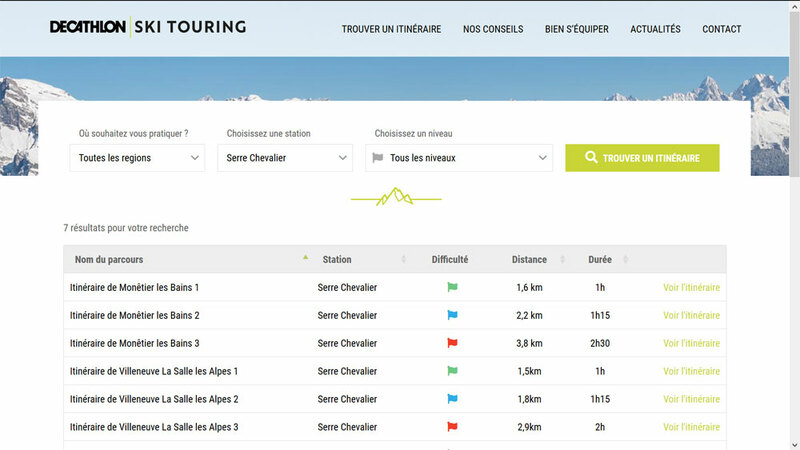 It would now seem that more and more resorts are introducing these trails for all abilities and Decathlon has a dedicated website where you can search for these trails, and obviously promoting the equipment you might need. 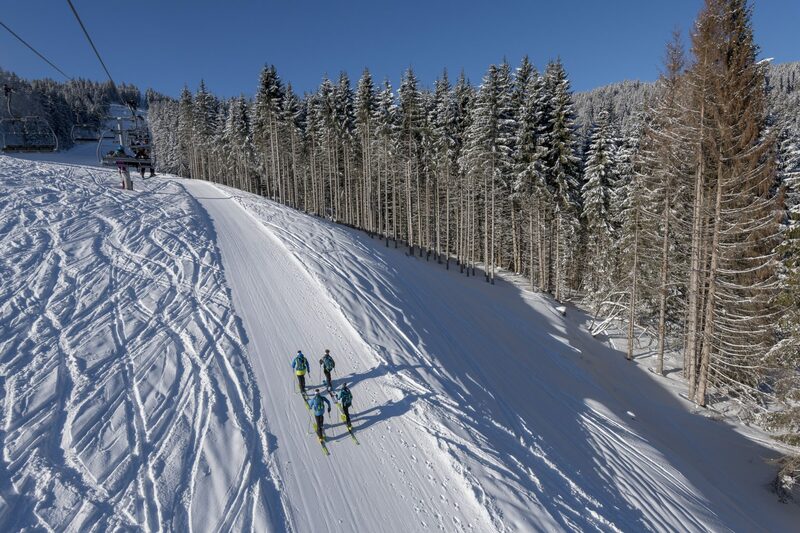 Both Dynafit and Decathlon are extolling the virtues of ski touring in the resort, not just because of safety, but also because it’s a great workout. As the puff on the Dynafit site says 'After all, who wants to torture themselves in a gym after work or on weekends? That’s more about an annoying obligation than enjoyment. As a result, more and more people are heading to the nearest ski resort for a quick ski tour, either alone or with friends. The fresh air fires up the cardiovascular system and a continuous uphill gait assisted by your arms strengthen muscles and tendons throughout your body. Ski touring on ski runs isn’t difficult. It’s something everyone can do'. Along with photos glamorising the practice. It has to be said the jury is out on this one, or maybe just divided on what will be popular. I can and do see people skinning up in the resort but I'm not too sure that the market for dedicated piste ski touring equipment is there as one would think why not just get normal ski touring gear that you could well use elsewhere? Also, let's face it, the beauty of ski touring is getting away from the pistes and the hordes. And if I want a good workout then there is no better way than cross country skating. That said going out with head torches when it's a full moon and skinning up the normal pistes with the Rando Chiens (Jack Russells) to a restaurant is certainly aa more adventurous option that we've explored.